I recently removed a link from a comment made on this blog. Let me explain. The post was about Duffy and an anonymous user decided to add a link to a rapidshare file download site where you could download her entire new album Rockferry for free before it had even been released. It was a little disconcerting to see how so many people were searching for this download and so I removed it because I felt it was unfair to the artist. Was this right? Was this wrong? To be quite honest, I find the whole music business a difficult mess to understand. I look around at a lot of other music blogs and note that most are giving away mp3s of new up and coming bands (some not so good I might add) and sometimes very well known bands. I have chosen not to do this so far because I want this blog to be more about opinions and ideas regarding new and old music, not a site that attracts visitors for downloads. What I do know is that while the Internet is taking away from the artists with one hand, it is certainly giving with the other by enabling me to get in contact with a multitude of bands via myspace, this blog, imeem, MOG etc and in turn I (and many others) can give feedback to the artists. For once, it's not just the music magazines hogging the media with their opinions, I'm getting a chance to join in and let off a little steam. Imagine me more like a feedback meter on products for sale at a mass supermarket-I'm trying to find new products and sample them to see if they are any good and then write about it, maybe even more like your local shop/market as opposed to the supermarket i.e. unsigned bands. In the past it would be an organised response to organised products. It's a really exciting time to be a music blogger. Inevitably, Portishead have also become victim to "album leakage" on the Internet. Their long awaited third album entitled Third was leaked 6 weeks before the official April 28th release date. Butter fingers somewhere just couldn't resist and just like that, 10 years of work is taken for free. Maybe this is why they are releasing a limited number of USB sticks containing their album as a sort of jibe at the situation. Anyway, I hope they make back their time spent on this album with a good tour and earn what's rightfully theirs for the taking. 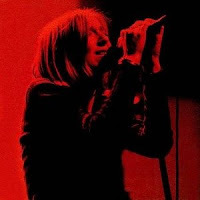 So if you haven't already downloaded the new album, Portishead have added the next single Machine Gun to their myspace page. A very dramatic song with hints of Kraftwerk coming in at the end which I'm going to have to listen to in the dark one of these days -that's how I prefer to listen to music, helps me focus my senses on the job and get the maximum enjoyment. So this leads me to my next question, where do you like to listen to music the most? In my opinion you are taking the right approach, as you are adding value with your reviews and not just ripping off. It is a fine line, but you are on the right track. Thanks for not going to Beijing.